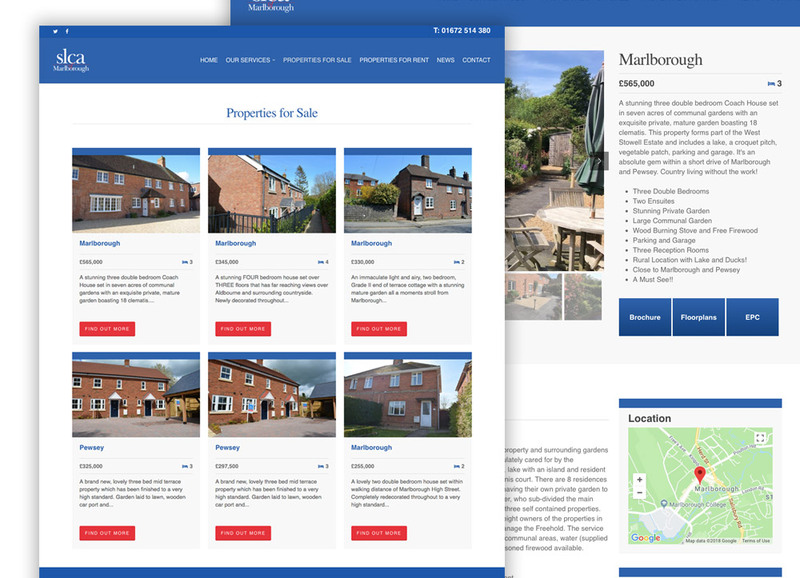 SLCA Estate Agents of Marlbourough required a website redesign to modernise their digital presence. Designers Up North also took their traditional printed marketing material and made it consistent with the new website design (developed as one of our website design Manchester packages). 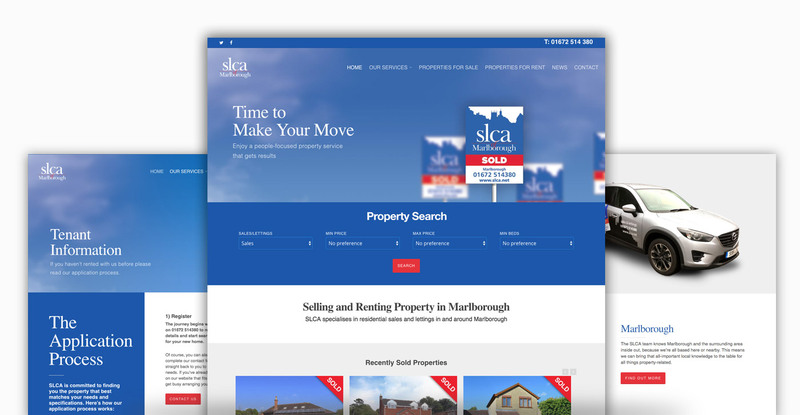 As well as updating the design and functionality of the SLCA website, we also undertook the rebranding of all their print-based marketing as well. Estate agent websites are normally a rather vanilla affair, with multiple stock-photographs you've seen on multiple estate agent websites. Working with the team at SLCA we created individual images that would not be found on competitors websites. Clear, easy-to-read property details make it easier for potential buyers to browse properties. Property buyers expect a printed brochure and it can sell a lifestyle like nothing else. With brochure downloads also available on the website, Dart Developments cater for both the digital and traditional buyers.